From November 23-27, Hermitage Fine Art is auctioning off almost 1,000 antique, modern and contemporary treasures. Voyage in several provinces of the Russian Empire and in northern Asia, Peter Simon Pallas. This auction kicks off the auction weekend on November 23 and covers historical documents, art, fine tableware and rare books from prominent private collections. 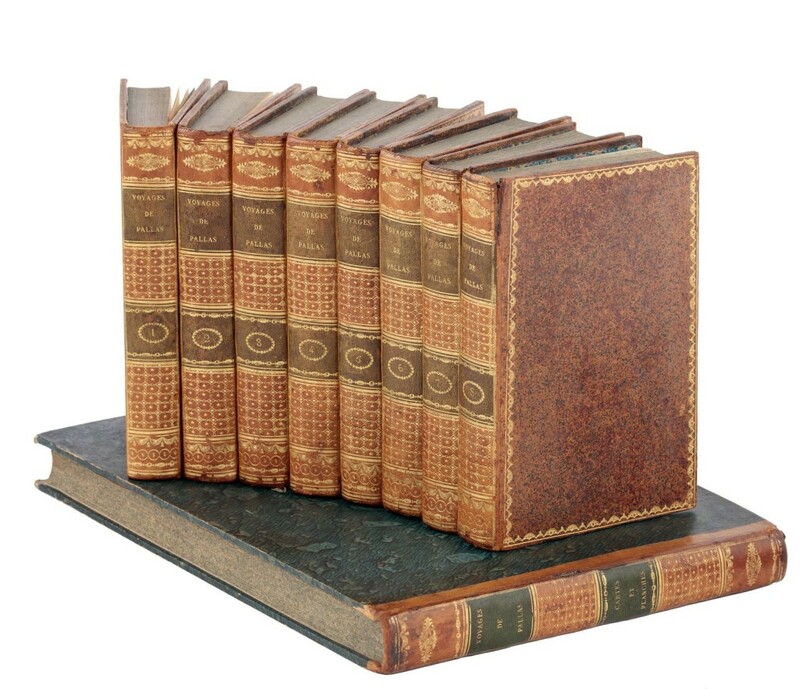 One of the most interesting lots is this nine volume journal collection titled "Voyages in Several Provinces of the Russian Empire and in northern Asia." These editions offer illustrated maps, costumes, architecture, fauna and botanics of Russia, written by Peter Simon Pallas, a professor at the University of St. Petersburg on his journeys in Russian in 1769-74 and 1793-94. Forest Landscape, Ivan Ilyich Levitan. 1890-1900, Oil on cardboard. With over 400 lots, this auction offers photographs, paintings, porcelain figurines, icons and historic letters, newspapers and documents. 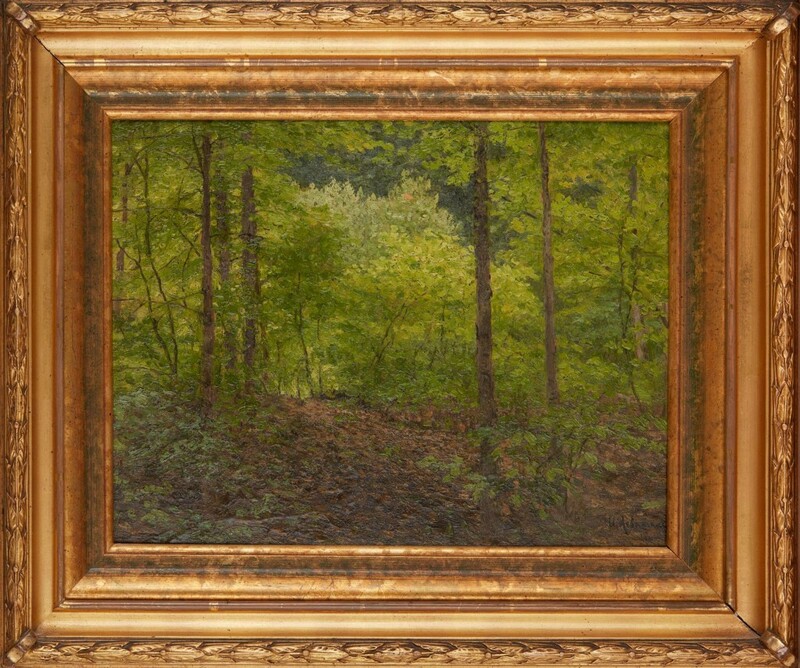 This oil painting titled Forest Landscape is by Isaac Ilyich Levitan, a celebrated Russian painter known for his atmospheric renderings of natural scenes. He was inspired by the spiritual stillness of the Russian forest and countryside and combined realist and Impressionist elements in his works. Madonna in a Flower Garland, Galle the Elder. Early 17th century, oil on canvas. The Old Masters auction boasts over 35 works from Italian, Dutch, English and French Old Masters. 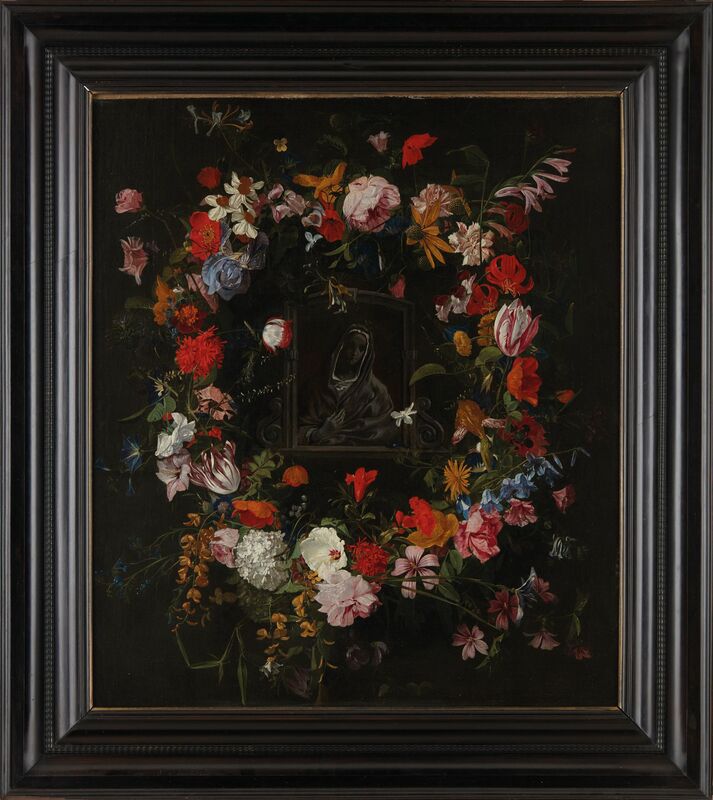 This painting by Antwerp artist Hieronymus Galle the Elder from the early 17th century depicts a garland still life surrounding a darkened Madonna. This combination comes from the popularity of garland images, a movement started by renowned painter Jan Brueghel the Elder, and the veneration of Mary in the Hapsburg Court that ruled over northern Holland at the time. Russian Imperial Guards Cuirassier Regiment (Napoleonic wars era), 1808-12 model. 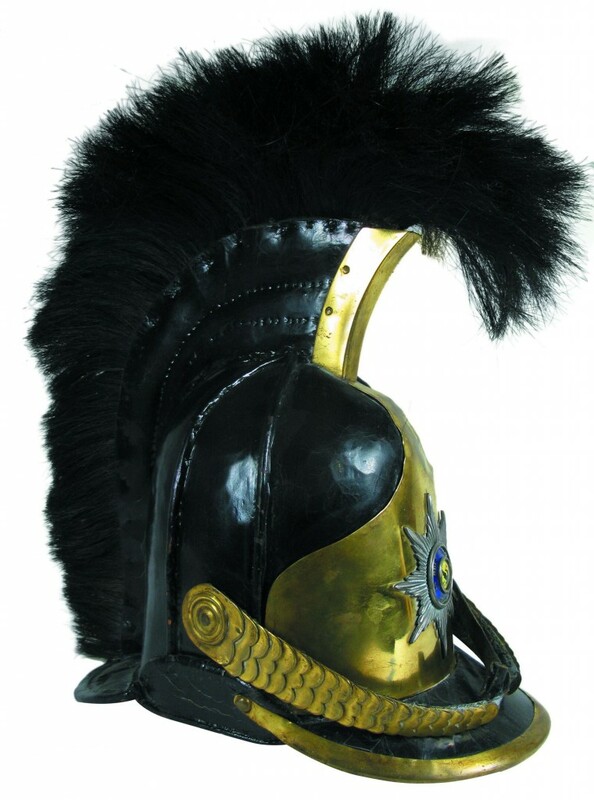 Swords, helmets, revolvers and other items of militaria are on offer at the antique arms auction, including this extremely rare Imperial Guard helmet. It dates to 1808-1812 during the Napoleonic Wars. These were worn by the private cavalry guards of the Russian Emperor, and this black leather helmet is topped with a black horsehair crest and adorned with brass accents and the silver star of the Order of St. Andrew, the highest order of chivalry in the Russian Empire. Untitled (diptych), William Quigley. 1990, oil on acrylic. The modern and contemporary auction features paintings, sculptures and drawings from the 20th century. Six works by American artist William Quigley (b. 1961) are for sale, all dating from 1990, the artist's early career. He was inspired by the abstract expressionist style of Willem de Kooning and his works incorporate abstraction with a vivid color palette and thick brushstrokes. Of the six works, two are acrylic on canvas and four are mixed media on paper. 10 Roubles depicting Elizabeth, 1756. This sale contains a variety of valuable antique coins from around the world, coin catalogues and elegant accessories from Cartier and Van Cleef & Arpels. 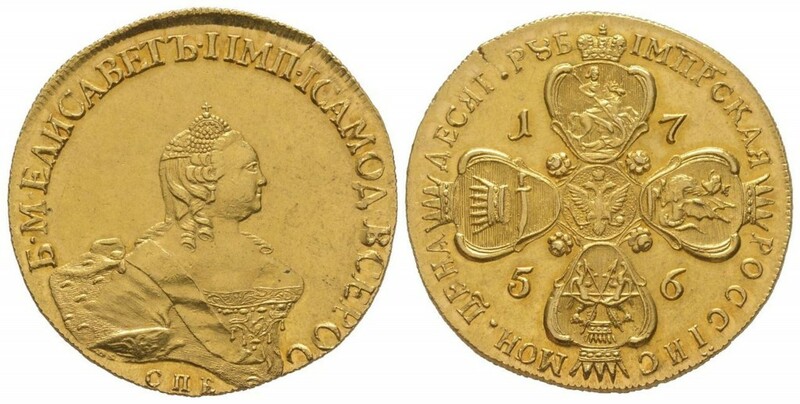 This extremely rare 10 rouble coin dates to 1756 St. Petersburg. It depicts Empress Elizabeth of Russia, who ruled from 1741 to 1762. In 1756, Russia entered the Seven Years War, as an ally of the Kingdom of France against the Kingdom of Britain.